SARASOTA, FL - September 6, 2013 – Sarasota Bay Estuary Program has awarded grants to nine organizations as part of the 2013 Bay Partners Grant Program. One of five fully funded projects included New College of Florida for a native plant showcase for education in a detention pond. The honors college received funding for its bay-education and bay-friendly landscaping project to remove invasive and exotic plant species and to create a native vegetated dry detention area near the Pritzker Marine Biology Research Center. Success will be evaluated by monitoring the native plant survival and development and attraction of insect and wildlife. Over 2,400 visitors tour the marine center annually and the demonstration project will be incorporated into these tours, the outreach programs and the New College curriculum. 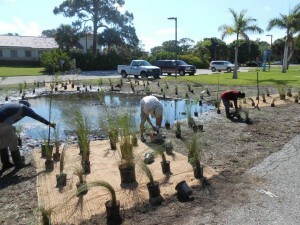 Aquatic Plants of Florida worked with New College to remove invasive and exotic species, address erosion issues, and install bay-friendly plants. Some of the plant species selected for the project include: pond cypress, swamp hibiscus, rushes, cordgrass, muhly grass, pickerel weed, blue flag iris, and yellow canna. The Sarasota Bay Estuary Program is dedicated to restoring the area’s greatest natural asset-Sarasota Bay. 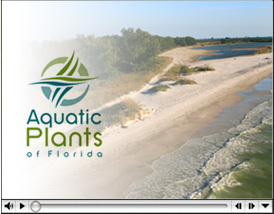 Its unique program strives to improve water quality, increase habitat and enhance the natural resources of the area for use and enjoyment by the public. Sarasota Bay is one of 28 protected estuaries in the U.S. The SBEP was founded in 1989 and its partners include Sarasota County, Manatee County, City of Sarasota, City of Bradenton, Town of Longboat Key, Southwest Florida Water Management District, the Florida Department of Environmental Protection, and the U.S. Environmental Protection Agency.